With afternoon temperatures in the lower 60’s and no rain in sight , I had some time to head out for a quick construction update. While I’m a week late in getting out, I managed to avoid the rain on Sunday and take more than 100 photos of several projects under construction, as well as some photos of completed projects/high-rises downtown. Last Sunday, I had an hour to explore some of the larger construction sites in and around Downtown. My hope is to go out for round two this weekend and hit up some additional sites for the November 2018 Gallery. While the weather did not fully cooperate, I did manage to go out and take a few photos on Saturday morning of projects under construction around town. Most of these were taken from my car to avoid the light rain that morning. These were taken last Sunday after the rain stopped. I hope to get out a little more often this summer to track all of the construction projects occurring Downtown. This past Saturday I was able to head out and take a few photos of construction around Shockoe Bottom, Monroe Park and downtown. 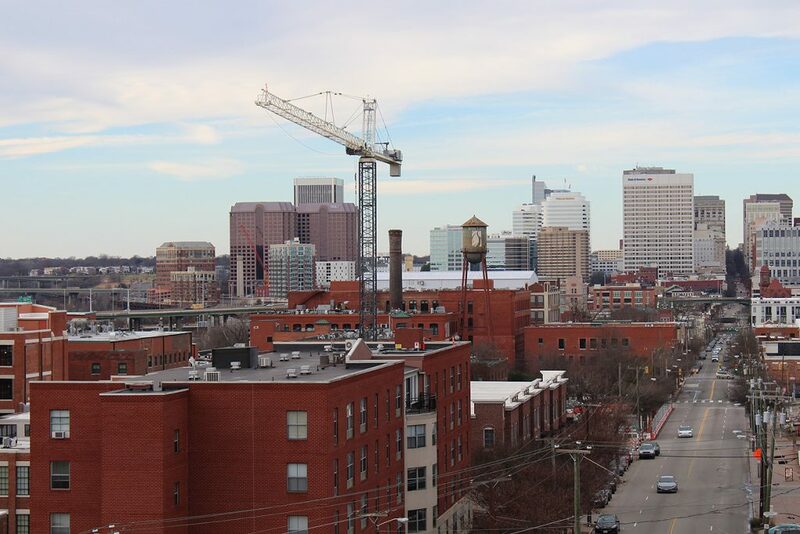 Photos include the a new apartment building in Shockoe Bottom,new VCU Monroe Park campus dormitory and the new Dominion headquarters tower (pictured below). Check out the photo album by selecting the photo below.